The name is probably of Roman origins (perhaps it derives from Latin "Gens Trebia"). Already a town with its own council, it became a district of the larger centre Arcola in 1870 in the Val di Magra, in the province of La Spezia. It is still a small town, located on a slope and it is dominated by the large castle, with well preserved streets, overlooked by houses with balconies adorned with flowers. It is famous for its white wines made with Rossese and Albarola quality grapes. 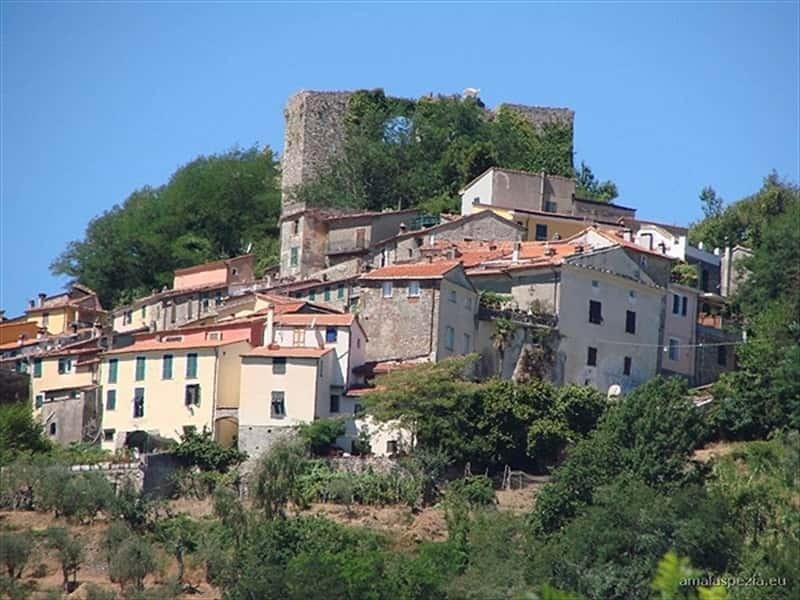 The village was mentioned for the first time in a document of the Roman era, in which the lands were divided between the Roman soldiers, who had just defeated the Ligurian troups. The second quote in an official document, dates back to 963, and the third in 1149 is in a Edit of Eugene III. The town was under the control of the Bishops Conti and opposed to the rule of the Orbetenghi over Arcola. The town was subjected to Pisa until 1254, then it was purchased by the Republic of Genoa. The inhabitants built an important wooden embankment, that extended over two kilometers, to protect their crops from the flooding of the river Magra and also started a ferry service. The Castle of Trebiano, officially mentioned already in 963, was built on request of the Bishops of Luni with residential utilities. It has a square structure with four large towers and it controls the access to the plain of Sarzana. The Parish church of San Michele built in the XVI century, preserves inside authentic treasures such as: an ancient wooden cross, recently restored, by an unknown artist and four painted panels of the artist Filippo Martelli, commissioned in 1634, a Roman engraved marble memorial stone. In the chapel Mascardi, the "Icona pulchra" engraved in Carrara marble by the French sculptor Domenico Gar, a wooden statue of San Rocco in 1524 and the marble altar made in 1529, both of Gar. Remarkable ancient frescoes decorating the walls and a wooden Madonna of the XVII century. This town web page has been visited 13,890 times.